Just as with any other living space in your home, you have every option available to you when selecting a flooring system for your kitchen. Some will prefer to go with the sleek modernism of polished concrete, where others might prefer to go with the rustic feel of tile. However, there’s one flooring material that’s incredibly versatile and that can be used with pretty much any design style that you might consider: hardwoods. Because hardwoods can be stained and treated in different ways, you can get pretty much any kind of look you might like. Plus, you’ll have plenty of options when it comes to selecting what kind of wood your hardwood floors will be made out of, as well as the size and width of the boards that make the floor up. To show you what the possibilities are, as well as to give you some tips for how to select the right hardwood floors for your kitchen, we’ve collected the 25 following examples. 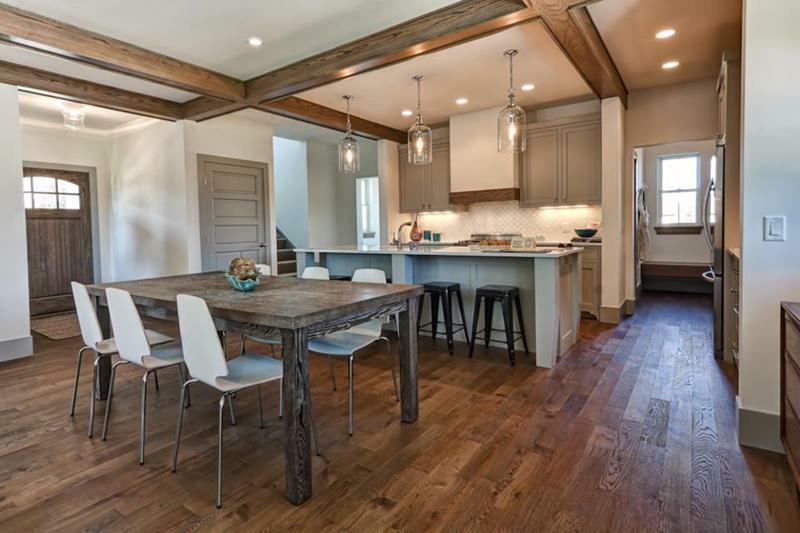 Each is different than the last, and each shows just how amazing hardwood floors can be for a luxurious, cheerful and comfortable kitchen design. So, come take a look! We’re sure you’ll find plenty of inspiration below. 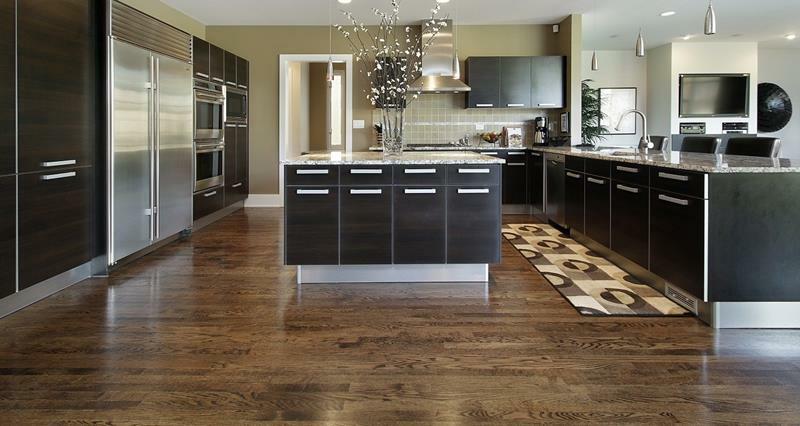 With hardwood floors and wood cabinets, you may want to consider pairing the stain. Doing so can lead to a cohesive look. 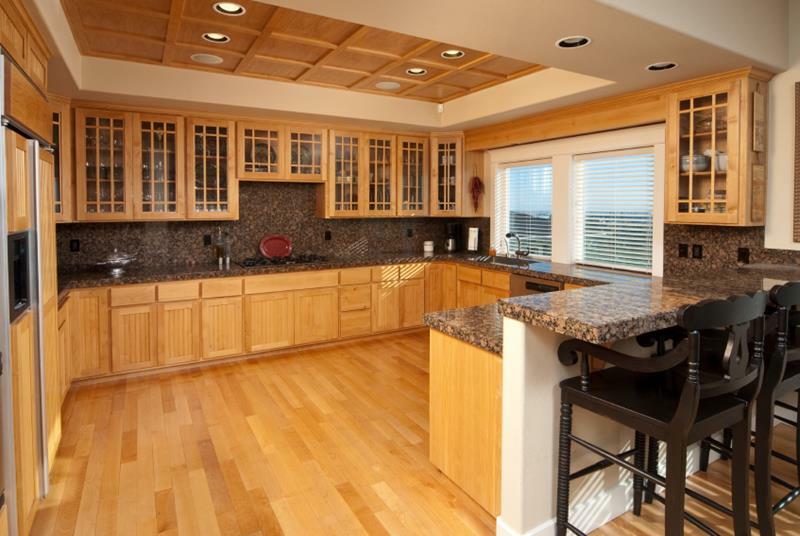 In this kitchen, you see darker hardwood floors. The subtler, deeper tones of the cabinets work well. 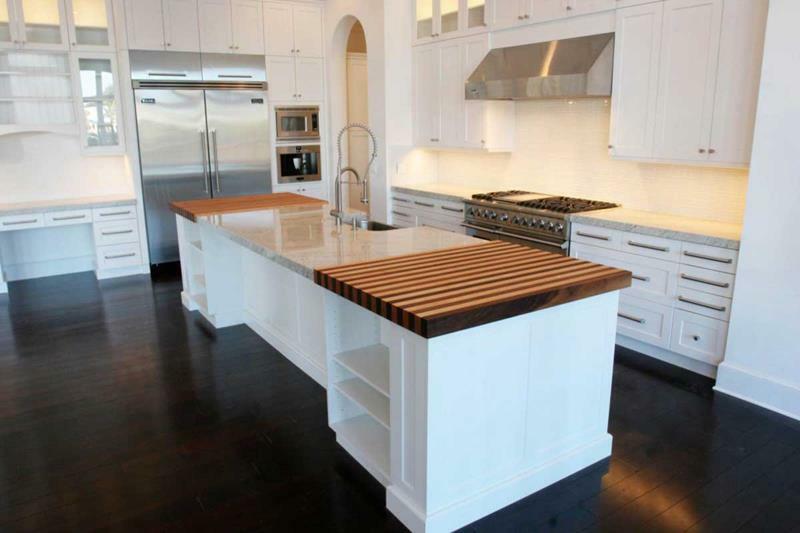 One way to really get some pop out of an all-white kitchen is to use dark hardwood floors. 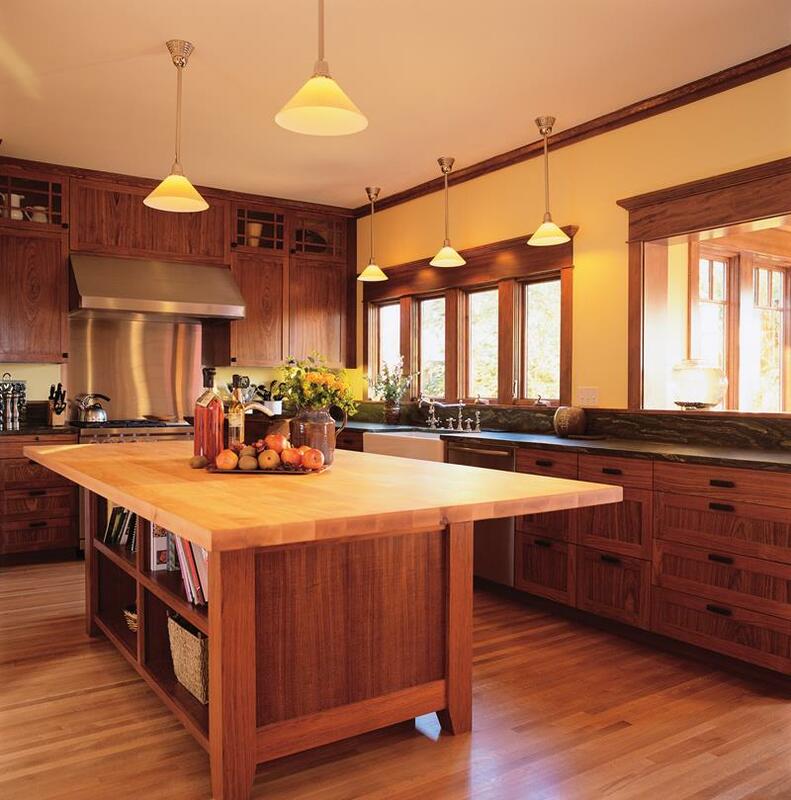 In a kitchen that’s featuring a more contemporary design, hardwood floors with rich grain can add warmth.